Why? Why? Why? Why Are You Eating Subway? 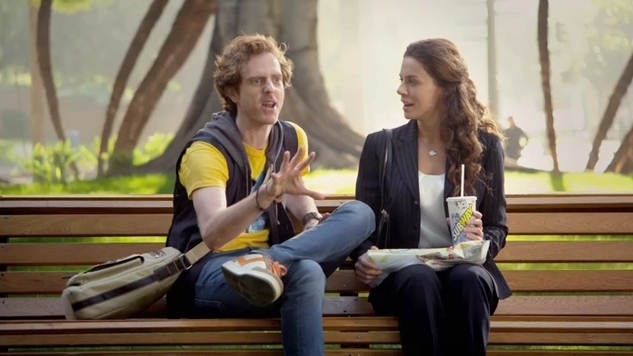 Once again hyping their low fat menu items, Subway, with help from Proof Advertising, has launched Walk and Talk, a series of TV and radio commercials that try to find out why people frequent Subway. In the commercials, a man with way too much time on his hands and a level of nosiness that would otherwise land him on the floor after being decked by all the people he bothers is amazed when he he sees a co-worker carrying a Subway bag and begins to pummel the guy with questions as to why he's eating healthy. This week, Dunkin' Donuts launched a new ad campaign which features regular people answering the question, "What are you drinking?" They, of course, parrot back the brand's new tagline, "I'm drinkin' Dunkin'." In November 2010, 1,000 people showed up for the casting call. 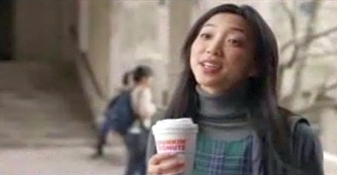 Boston-based Hill Holiday created the campaign which Hill Holiday Group Creative Director Chris D'Amicco says, "celebrates Dunkin' Donuts consumers and their love affair with Dunkin' coffee." The campaign will roll out on television, radio, out of home, POP and online. 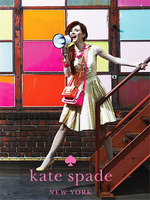 The impossibly cute Bryce Dallas Howard has been signed by Kate Spade to front the brand's spring and fall 2011 ad campaigns. Of the brand's choosing Howard, Kate Spade President and Chief Creative Officer Deborah Lloyd said, "Bryce is playful, gorgeous and multi-talented. She embraces and embodies the spirit of our brand. The moment she puts our clothes on they come to life in a new, spirited way." Shot by fashion photographer Norman Jean Roy, Howard is the first celebrity the brand has tapped to appear in its advertising. - Everyone's one kind of obsession or another. This guy loves German and Swedish pantyhose ads from decades pasts. - AOL is begging people to come work for them with a billboard on highway 101 in Silicon Valley. - This outdoor installation totally captures a child's wide eyed fascination with Hot Wheels. - To tout the debut of its first fragrance, Jimmy Choo has launched an ad campaign fronted by the brand's own Co-Founder, Tamara Mellon. Newsflash! White Club to Revolutionize Game of Golf! If you're a golfer, your world is about to change dramatically. TaylorMade has introduced a "product innovation that will revolutionize the game of golf." Yes. It's true. The game of golf is about to go where no one has gone before. White. Yes white. No, it's not a racial thing. Though this particular sport is full of all kinds of snobby crap in that particular category, we're just talking about the color of a golf club. Traditionally black, TaylorMade is introducing a line of drivers that are white. A new seven-spot campaign created by RP& (yea, that's the name of the agency) and Chelsea Pictures highlights the lengths people will go to achieve certain necessary goals in their life. They it trashes that lofty excess and urges people to over save instead of overspend. It's really as simple as that. And an interesting approach to take since we all know a few kooks out there who ocer-obess about the most idiotic things.